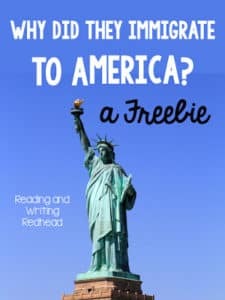 It’s hard to find appropriate reading passages on immigration for second graders and third graders that they can read and understand (even with help). Therefore, I created this freebie! 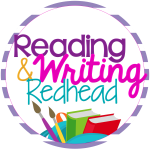 It includes a reading passage with two difficulty levels for differentiation and there are also follow up questions to the reading passage. The topic is why people immigrated to America in the 1700s and 1800s! Click here or on the image below to check it out and always , please take a few minutes to leave feedback. I am so appreciative when you do so!